To help you start your day with purpose, the Daily Summary Email gives an overview of Pending tasks, Upcoming meetings and Team's status. Tasks due for that week. The next section contains details of Meetings scheduled for the day, their duration, attendee details, overdue tasks and organizer's name. 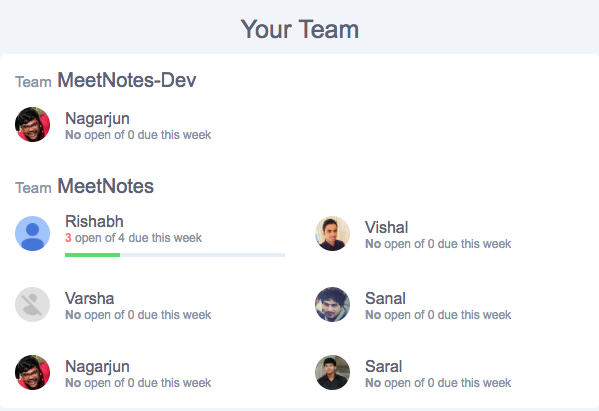 Last section of the email provides insights into the details of team and team members. Click on the settings icon on the top right. 2. Access 'Profile Information' from the menu on the left. Uncheck the Daily Summary check box. At the start of each day you will know what meetings you need to attend, what tasks you have to prioritize and what your team is working on.